Gift of Mr. and Mrs. W. Ernest Chilton, Jr. Gift of Arch H. and Stella Rowan Foundation in Memory of Marshall R. Young, Jr. The permanent collection has over 2000 works of art. The largest area of the collection comprises modern drawings, paintings and prints by well known Americans such as John Marin, John Sloan, Charles Demuth, and Thomas Hart Benton and Europeans, Pierre-Auguste Renoir, Paul Klee, Amedeo Modigliani, Pablo Picasso, and Joan Miro. The collection also contains a sizable number of works by contemporary British artists such as Adrian Heath, Henry Moore, and Alan Reynolds. Smaller regional collections of the Fort Worth Circle ( 1945-1955 ) and Taos Modern artists round out the Museum's permanent holdings. Today, the Old Jail Art Center actively collects and showcases the work of young Texas artists. Featuring ancient Chinese tomb figures, Japanese woodblock prints and jades and a variety of ceramic works. From its earliest days, the Old Jail Art Center has had Asian art in its collection. The mothers of the museum's co-founders, Reilly Nail and Bill Bomar, collected Asian art. 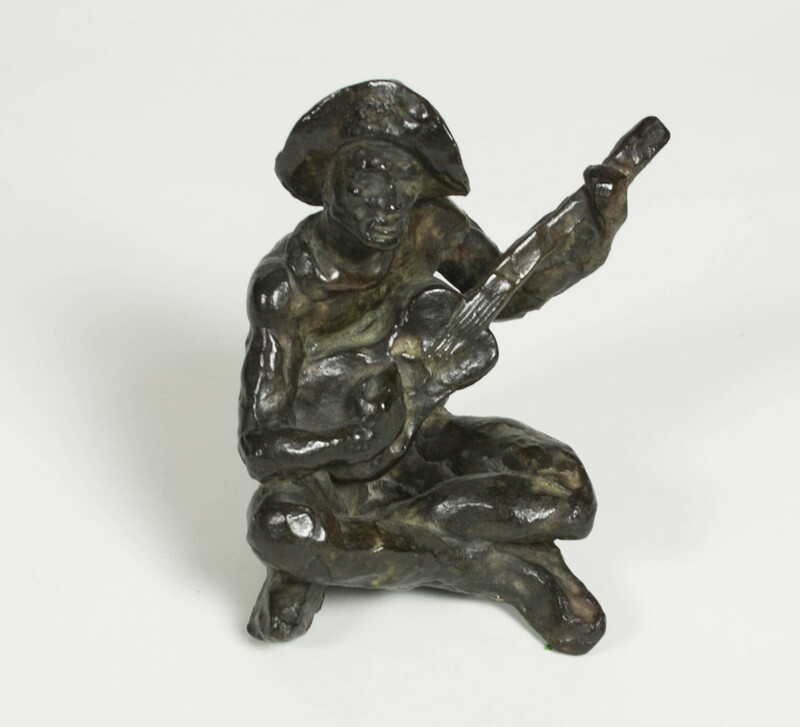 At the time of the museum's founding, the late Jewel Nail Bomar's collection of ancient Chinese tomb figures was in her son's hands, and he contributed it to the initial collection of the museum. Nail persuaded his mother, Wyldon Burgess Harrold, to give pieces from her collection of more recent artifacts. Through the years, others have enriched the collection with their gifts, including co-founders Bomar and Nail. Today the collection comprises Chinese ceramics from the Han through Qing dynasties as well as an assortment of Japanese prints and ceramics and a few works from other cultures. Excerpt from an essay by Jennifer Casler-Price, Curator for Asian and Non-Western Art, Kimbell Art Museum. 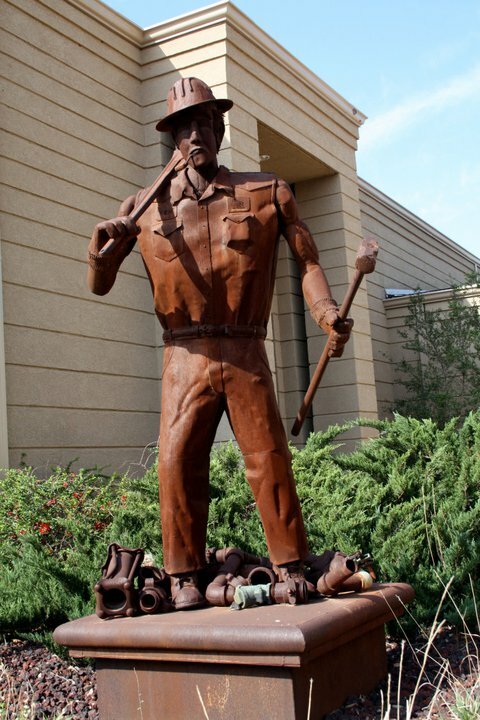 More than 20 sculptures are installed throughout the grounds. Eve with an Apple, n.d. The Marshall R. Young Courtyard, named for one of Albany's pioneer oil men was created to exhibit the Old Jail Art Center's 20th Century outdoor sculpture including American artists Jesus Bautista Moroles, the late Charles Williams, as well as post-WWII European sculptors Luigi Broggini, Pericle Fazzini, and Augusto Perez. Other important outdoor works of various media are installed throughout the museum’s grounds. Marshall R. Young, Jr. was a valued Trustee and benefactor of the Old Jail Art Center for many years, serving most recently as Trustee Emeritus. 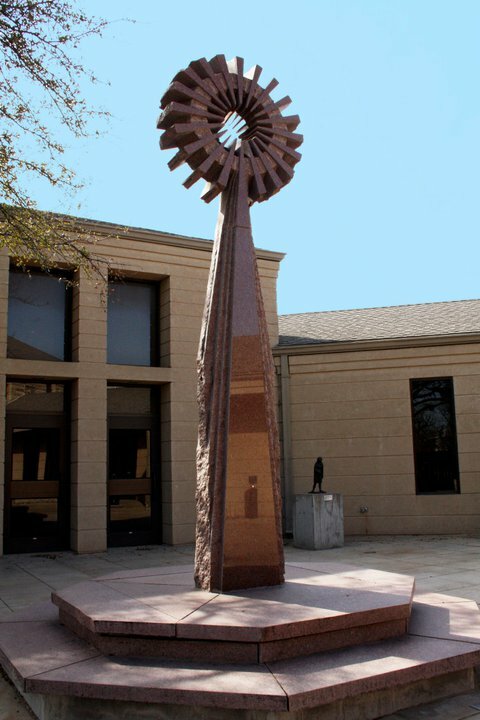 He donated funds for the Sculpture Courtyard added in 1984 and named in honor of his father, an independent oil producer whose early oil strikes were in Shackelford County. Marshall Young, Jr. was an avid art collector all his life and lived most of it in San Francisco where he was a magazine publisher. At his death on January 4, 2001 he bequeathed four oil paintings from his private collection to the Old Jail Art Center: Eugène Boudin, Anvers, L'entrée du port, 1871; Pierre-Auguste Renoir, Nu couché, vu du dos, c. 1983; Henri Fantin-Latour, Nature morte aux roses, 1899; and Gustave Caillebotte, Paysage avec rivière, c. 1888. He also bequeathed a work on paper, Henri de Toulouse-Lautrec, Au bal masqué-les fêtes parisiennes-nouveau confettis, 1892. Dedicated to the heritage of our area. GIft: Reilly Nail and Matilda Nail Peeler. Published New York: J.H. Colton & Co. This collection honors both its namesake, author of Interwoven, and her youngest child, Watkins (Watt) Reynolds Matthews. 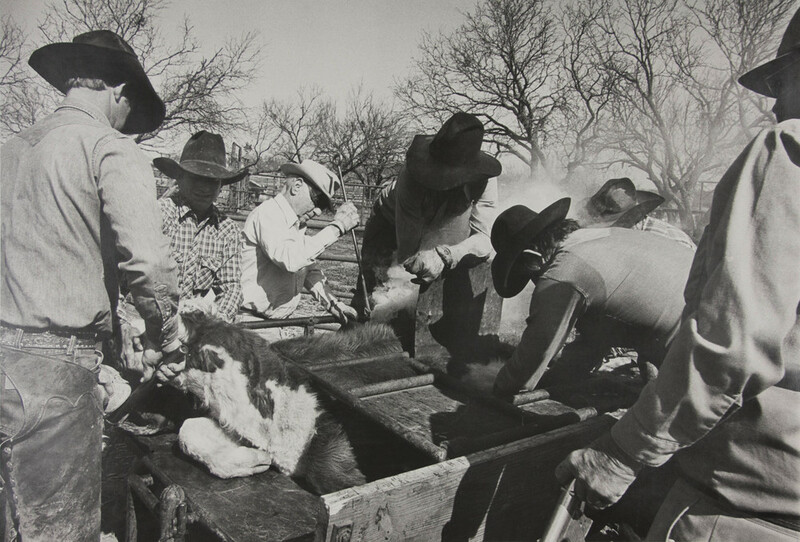 The collection of furniture, books, and artifacts, centers on the headquarters of the Matthews' historic Lambshead Ranch and other area ranches. The Green Art Research Library is non-circulating and holds over 3,000 volumes of art history, art criticism, artist biographies, as well as current and back issues of art, historical, and cultural periodicals and videos. The Green Art Research Library is open to the public during regular museum hours. Researchers and curators needing specialized attention should contact the museum at 325.762.2269 or e-mail the archivist/librarian to schedule an appointment. Hosted by the Abilene Library Consortium. The Robert E. Nail, Jr. Archives at the Old Jail Art Center was established to provide a historical memory and a genealogical resource of the people of Albany and the Shackelford, Stephens, Throckmorton, and Young County areas. The Archives also seeks to supplement the museum's fine arts collection with the personal/professional papers of artists whose work is in the permanent collection. SPOKEN: Ardon B. Judd, Jr. Oral History Project has been established to record the stories and life histories of the people of Albany, Texas and its surrounding region. In memory of Old Jail Art Center Board member and archives supporter Ardon Judd, the project will preserve this rich history and make it accessible to visitors, students, and researchers. Individual videos and full length interviews, along with their respective transcripts, can be found on the project page here.